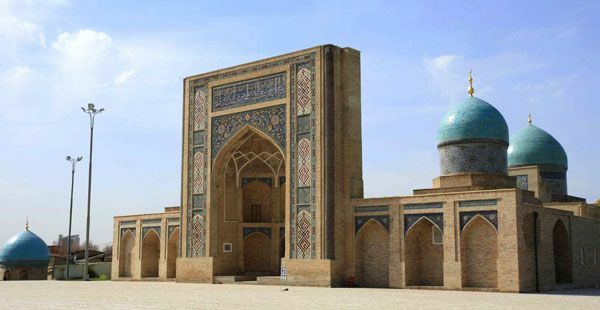 Tourists visit Uzbekistan mainly because of its architectural masterpieces and historical sites. It is full of ornate structures, ancient madrasahs, and grand mausoleums. If you’re looking for awe-inspiring buildings, this is the place to be. And if you’re a bit lazy and would like to see as many of these grand ancient structures in just one place, go to the Registan, a famous historical complex that holds some of the world’s oldest madrasahs, grand arches and intricate mosaics. Other must-see buildings are the Ulugh Beg Observatory, which used to be one of the Islamic world’s best and biggest observatories in Central Asia; the Guri Amir, an azure-domed mosque whose architecture later served as a model for the world-famous Taj Mahal; and the Bibi-Khanym Mosque, which was built using precious stones from India. Although famous for its rich Islamic history and opulent Central Asian architecture, Uzbekistan is also fast becoming an ecotourism destination as it is home to numerous biospheric reserves and national parks. The Nuratau-Kyzylkum Biospheric Reserve and the Ugam-Chatkal National Park are two of these eco-destinations. The Nuratau-Kyzylkum Biospheric Reserve is home to rare animals such as the golden eagle, the plate-tailed gecko, the Egyptian vulture and the griffon vulture, and the Central Asian wild boar. Ugam-Chatkal National Park, founded in 1947, is one of the Uzbekistan’s largest and oldest nature reserves. This park is home to the Eastern imperial eagle, wild turkeys, and white-claw bears, among many others. You will also find here some primitive furnaces and other ancient artifacts of humans who had once lived and hunted in the area. Rock paintings are abundant. In the ancient city of Bukhara, visitors can come and watch the many puppet performances set up by the locals. Puppetry is a celebrated art in Central Asia, and Bukhara is home to many of Uzbekistan’s master puppeteers and puppetry workshops. Both kids and adults will have fun in participating in puppet-making workshops or in simply watching puppet performances in theaters or by the road. Ballet and opera are also good options for those who want to watch something more formal. The Alisher Navoi Opera and Ballet theater is one of Uzbekistan’s cultural gems. The theater’s main thrust is to bring both Uzbek and international culture to the people. Its artists have performed internationally. Foreign artists from Japan, Korea, France, and the UK have also performed on its stages. Performances are held at this theater from Tuesday to Friday at 6 p.m., on weekends at 5 p.m., and every Sunday noon, there is a special program for children. Offering tourists the best of the new and the old world, Uzbekistan is not just a historic place but a place to have some modern fun as well. It’s famous and thriving night life is well-represented by the array of bars, clubs, and restaurants around Tashkent. Visitors can enjoy the exotic cuisine and local wine of Uzbekistan in restaurants all over the city. For people who want to go dancing and club hopping, good times are always guaranteed at bars like SMI at the city center. Studio Cafe, a Hollywood-themed hangout, is home to the Uzbek hip crowd. It has a bar area that serves all kinds of cocktails. For those who prefer a quiet night of good music and foaming home-made brews of good beer, you can check out pubs such as Tri Bochki and Gasthaus. Modern circus first came to Uzbekistan more than a hundred years ago. At that time, though, it was made up mostly of foreign performers from Europe and Russia. But today, the Uzbek circus industry has its very own troupes, one of the most renowned of which is the Tashkent Circus Troupe. This group of performers has gained distinction all over the world. They have performed in countries such as the United States, Spain, Poland, Taiwan, Korea, India, Saudi Arabia, and Malaysia. In 2001 and 2003, the troupe has gained awards in the UAE and Germany, respectively. In Uzbekistan’s circus, you can watch not just performing tigers and clowns, but also acrobats on camels, two-level tightropes, air ballet, Uzbek horse riders, and extreme yoga performers, who delight the audience with their thrilling acts.